We are looking for a Senior Infrastructure Support Engineer to oversee the day to day operational function of all Wi-Manx Infrastructure Services, provide support for priority customers, carry out pre-sales work and cross train the Technical Support Team. If you have experience in a technical engineering role and excellent communication skills, we want to hear from you. 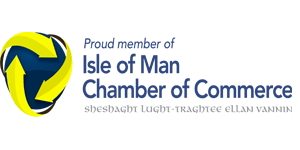 Wi-Manx are look for an outgoing and driven Corporate Account Manager to join our sales team. As Corporate Account Manager, you will be directly manage a portion of our customer base and ensure regular communication is maintained between yourself and these customers. If you’re a real people person, have experience in relationship building and have knowledge of the telecoms industry, this role will definitely suit you. We are looking for a Voice and Business Support Engineer to focus on maintaining and developing the Wi-Manx voice platform. The successful candidate will build, deploy and support our hosted telephony services to our business customers. If you have experience in a technical support role and are keen to develop an in-depth knowledge of voice technologies, this role is definitely for you.